​THE POWER TO FLAWLESS BUSINESS COMMUNICATION! A "Cost Savings Evaluation" will provide your company with answers and solutions to save you money or to improve your existing communications. We will review your telephone bill and current setup and in most cases find ways to cut your telephone or internet expenses. Yes, it really is that SIMPLE and FREE!! 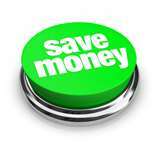 Still not sure if a "Cost Savings Evaluation" is for your company? Read through the following questions or contact an ABC sales engineer, we are more than happy to help answer any questions you may have. telephone system outright instead of leasing this system? Can we afford a new system instead of leasing...telephone systems are expensive? Could updated equipment save us money..should we take the time to look into this? can we afford new equipment? Do we have to have a monthly maintenance contract? We really need a phone system but can't afford to pay for it in full, what options do we have? What telephone system is best, should we think about VOIP or Digital? Always Better Communications, Inc. has been a part of the telecommunications industry for years. We understand telephony, its what we do. ABC takes the confusion out of communications.